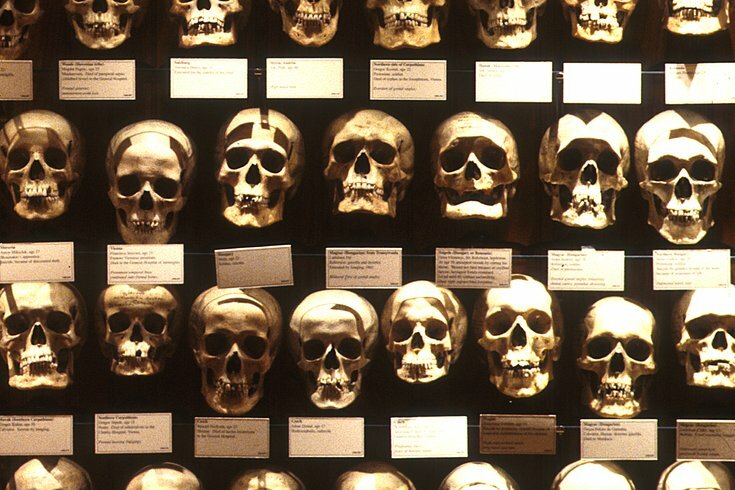 The Mütter Museum is Philly's creepiest institution. Edgar Allan Poe died mysteriously in October 1849, while on his way to Philadelphia. On Oct. 4, the Mutter Museum will honor the author's death with a slightly-morbid party in their upstairs ballroom. It's a little bit dark, it's a little bit creepy and it's perfect for a Poe-Mutter mash-up. The event begins at 6 p.m. with an immersive theater show. Josh Hitchens and Going Dark Theatre Company will perform Poe's short story "The Masque of the Red Death." In the story, a disease known as "Red Death" is killing its victims quickly and gruesomely. Prince Prospero decides he will lock the gates of his castle to ward off the plague. After a while, though, he decides to open them again for a lavish masquerade ball. On the night of the ball, at midnight, a new guest arrives in ghoulish clothes and a mask that resembles a corpse. Is it just another party-goer or someone more sinister? Once the show ends, guests can join a discussion of the representation of tuberculosis in Poe's works. Edward G. Pettit, a Philadelphia Poe scholar, will lead the talk. There will also be a pop-up exhibit designed specifically for the event that focuses on tuberculosis, which is a serious bacterial disease that mainly affects the lungs. During the event, light snacks, beer and wine will be provided for attendees. Guests are encouraged to dress up for the occasion in outfits fit for Prince Prospero's masquerade ball.